The Duesseldorf Welcome Day 2015 on September 26, hosted by the city of Düsseldorf at the NRW-Forum Düsseldorf, will take on a completely new format this year. This year RhineBuzz, together with Unique, two organisations known for lively national and international events are organisng the day with a BIG fun element! The day will be full of the services you need for a great start in Düsseldorf, people to give advice on finding a job, recognition of qualifications, and finding somewhere to live; you can speak to the people from the international schools, the kindergartens and languages schools, universities; relocation agents will be on hand as will cultural coaches - so what will be different? For the first time we have found you English speakers at really useful city advisory points such as the Consumer Council - Verbraucherzentrale, the bike station - Radstation and the Family Advice Centre - i-Punkt Familie to be on hand to speak to you. A central lounge will be the heart of the event, a place for you to meet other expats, meet Düsseldorfers, have a chat. A place where hopefully you will come away from knowing you have met someone who can help whichever situation you may need support in. Throughout the day there will be different question and answer sessions on the basics: 'finding a place to live, finding work, taxes'; 'schools, city administration, insurances' and 'leisure time'. These will be lively exchanges, and hopefully the beginning of a valuable network. - lots of cool givaways! - Mr Düsseldorf himself, a charming English speaker, will be around to give you great tips on where to eat out, go party, shop! - at the end of the day we will focus on your free time. People who offer leisure-times activities will be around to let you know where you can go to have fun! 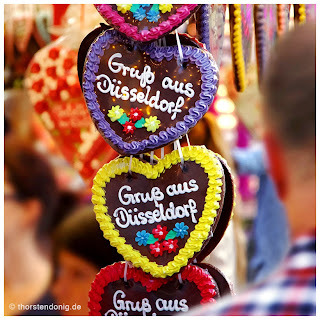 Join us on Facebook - Duesseldorf Welcome Day - website coming up! This is your day - make the most of it!